Product prices and availability are accurate as of 2019-04-22 08:25:39 EDT and are subject to change. Any price and availability information displayed on http://www.amazon.com/ at the time of purchase will apply to the purchase of this product. Reflective signs illuminate when struck by light from headlights or any other source. This makes the message readable even in dark and low lighting. 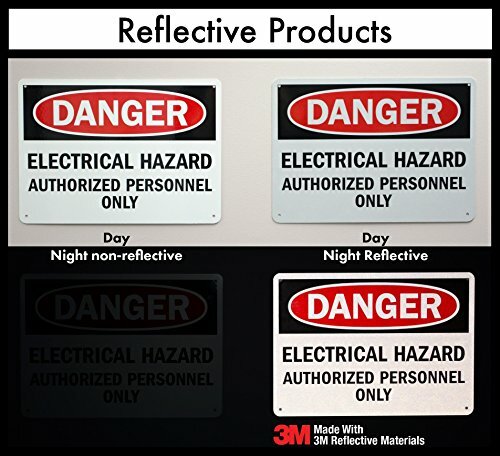 3M Engineer Grade reflective signs are the most common material found on our public roads. 3M Engineer Grade signs have up to 7 years of outdoor warranty. Family owned since 1918, we take immense pride in our signage. Being one of the oldest certainly means we know this business in and out. 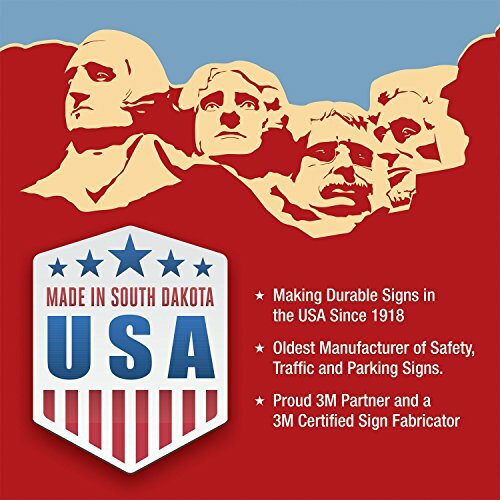 Our South Dakota factory is the oldest manufacturer of metal signs in the USA. 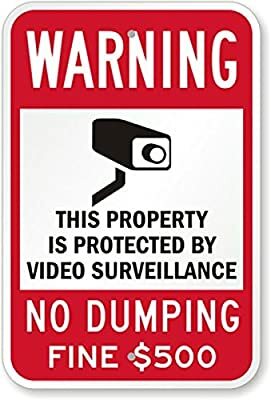 We have been an integral part of safety and convenience our No Dumping Signs have provided over the years. 3M Engineer Grade Aluminum signs have an outdoor warranty of up to 7 years, but most signs last much longer. Our 63 mil thick signs are laminated for enhanced performance. You can clean off graffiti and your graphics are protected. 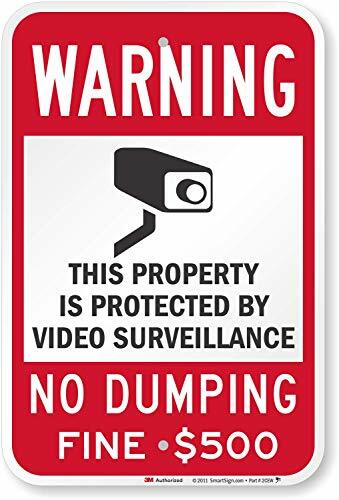 Unlike many other signs, our Warning - Property Protected By Video Surveillance, No Dumping signs use industry-leading 3M inks and not off-brand or other low-durability inkjet pigments that fade in a year or two.